Ambassador Adalnio Senna Ganem, a career Diplomat, assumed his position as Consul General of Brazil in Miami on September 9, 2016. Prior to that, he was the Brazilian Ambassador to Panama. 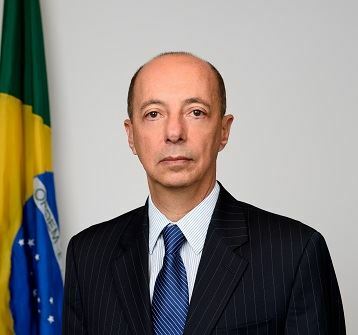 Ambassador Ganem served Brazil as Consul General of Brazil in Atlanta, Director of the Brazilian Trade Bureau in New York, Chief International Advisor to Vice President Marco Maciel and Minister-Counsellor and Charge d' Affaires of the Brazilian Embassy in Paris. As first assignments, he served at the Brazilian Mission to the European Communities and at the Brazilian Embassy in Lima. In addition, Ambassador Ganem was Chief International Advisor to the Governor of the State of São Paulo. He earned his law degree from the Pontifical Catholic University of Rio de Janeiro and completed diplomatic academy at Instituto Rio Branco, followed by Post Graduate degrees in Economics and Trade at the New York University and Instituto Rio Branco.